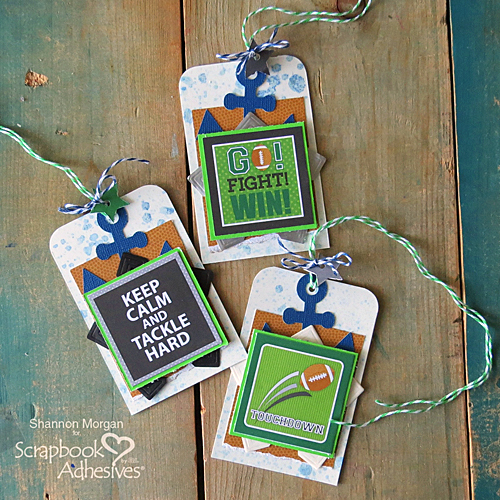 Shannon here, sharing some good luck tags with you today. In my little corner of the world, its back to school…aaandd FOoTBaLl season! 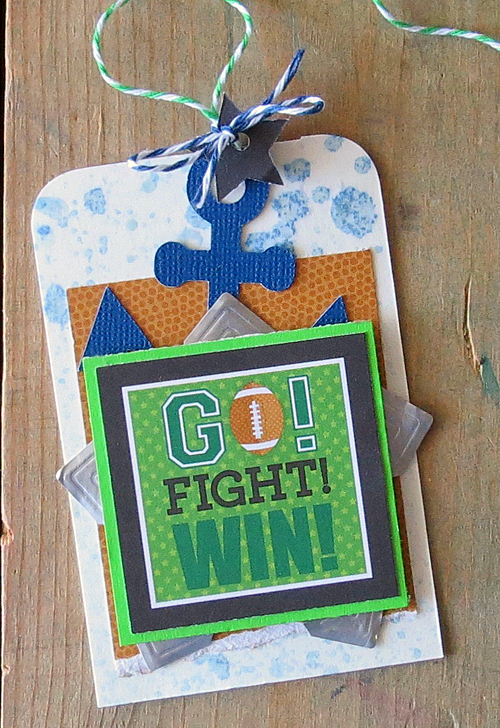 In fact, I am sharing some “good luck” tags for your favorite player with you. Good Luck Tags With Gusto! Each tag is a little bit different in design, but I have designed them in the same fashion. Take a look at the photo below. 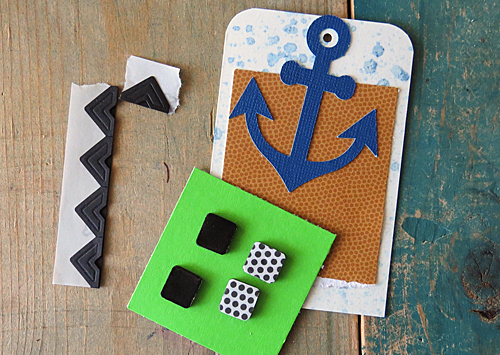 I used 3D Foam Squares Black Mix in the regular size, to create dimension and interest to my tags. Accenting with Creative Photo Corners! Creative Photo Corners, being perfectly symmetrical, are surprisingly ideal for creating a star effect. As an illustration, look at this photo to see that the corners are “tucked in” to the tag. The corners are peeking out because of the shape that they are. 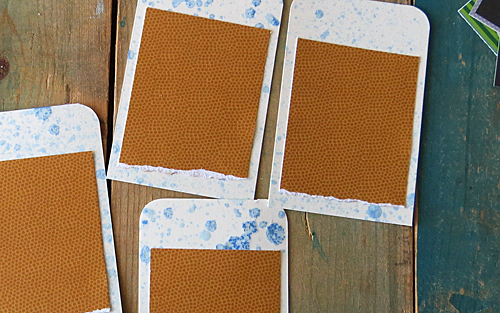 I enjoyed sharing this little project with you today! 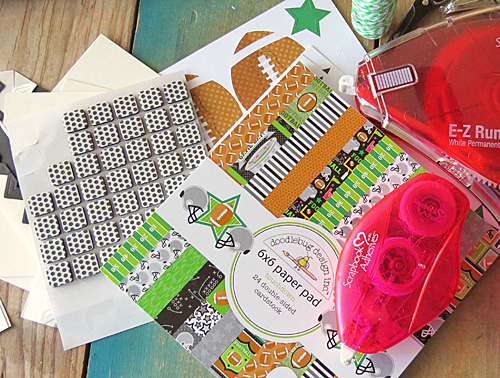 My hope is that I have inspired you to create some good luck notes for your favorite athlete. There are 20 boys who have my heart for at least the next 9 weeks. This entry was posted in 3D Foam Squares, Adhesives, Crafts & Tutorials, Creative Photo Corners, E-Z Runner® Dispensers, Embellishments, Fall, Gifts, Intermediate, Permanent Adhesive, Seasonal Craft Ideas, Skill Level and tagged 3D Foam Squares Mix Black, 3D Foam Squares Regular Black, Creative Photo Corners Black, Creative Photo Corners Mix Pack, Creative Photo Corners Silver, Creative Photo Corners White, Doodlebug Design, E-Z Runner Grand Dispenser, E-Z Runner Grand Permanent Strips Refill, E-Z Runner Permanent Strips, E-Z Runner Permanent Strips Refill, E-Z Runner Permanent Strips Refillable, E-Z Runner Permanent Strips Refillable Value Pack, Shannon Morgan, Tag. Bookmark the permalink.